The traditional conference is ready for a refresh. Sitting and listening to speaker after speaker has become formulaic no matter how interesting the event. Four founders recently came together together to re-imagine the experience into the speed networking of the business world just in time to celebrate International Women's Day. After years of working with rapidly growing female-led brands and booking clients for major conferences across the country, the reboot was organically sparked after Jennifer Bett Meyer and partner Melissa Duren Conner, the founders of Jennifer Bett Communications (JBC), with an 80% female founder client base, realized conferences weren’t meeting the needs of early-stage female entrepreneurs. Meyer observed that while so many conferences "provided valuable networking and thought leadership for larger start-ups, these events lacked actionable takeaways and limit accessibility with prohibitively high ticket costs" for fledgling founders. Meyer and Conner then joined forces with fashion designer Rebecca Minkoff, one of the founders of the Female Founder Collective, a network of businesses led by women supporting women, Cate Luzio of The Luminary and Visa's She's Next initiative, to enable and empower female owned and led businesses to positively impact communities, both socially and economically. The center of the concept is for founders to take away tangible results. The next step was a collective decision to flip the format and the economics. The idea peculated out of JBC hosting an "open house" last year for less than 50 new female entrepreneurs to get free PR advice. Meyer expected "maybe 10 people to show up but over 50 came." Minkoff and Meyer suddenly realized that together they could expand the concept. Launching in time to celebrate International Women's Day, Wide Awake: A Day For Female Founders is a free, hyper-focused conference for early stage female founders (either less than 12 months post-launch or within 6 months pre-launch) to meet some of the most inspiring and successful women in business who have been through it all. The notable difference is the completely interactive formatting. Meyer outlined how attendees will be intimately participating with keynotes, workshops, and one-on-one actual sit-down sessions along with in-depth panels. 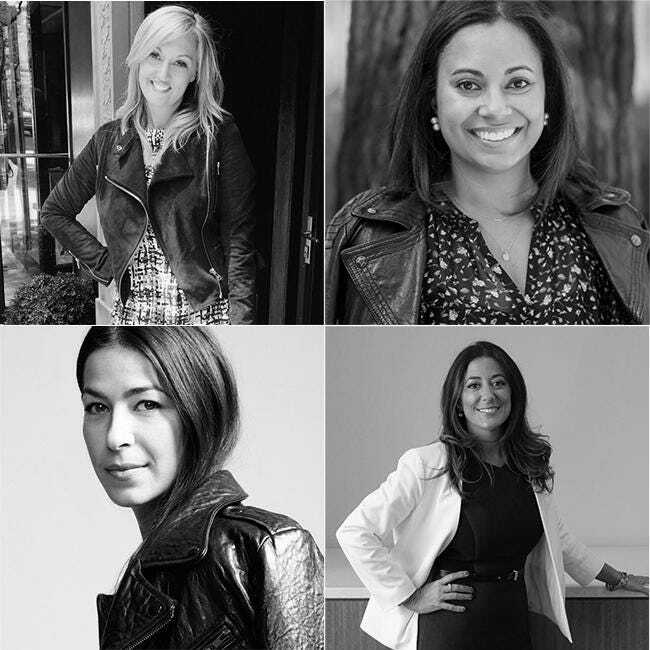 Attendees will be able to take advantage of speed networking business advice sessions with a mentor/founder all-star line-up from fashion designer Rebecca Minkoff, Carly Zakin and Danielle Weisberg of The Skimm, influencer Arielle Charnas of Something Navy, founders and entrepreneurs Katia Beauchamp of Birchbox, Reshma Saujani of Girls Who Code, Amy Schecter from GlamSquad, Founder Inspired Capital, Sallie Krawcheck (Ellevest), Christine Hunsicker (Gwynnie Bee), Rachel Blumenthal (Rockets of Awesome), Anu Duggal and Sutian Dong (Female Founders Fund), to Mariah Chase (Eloquii), Nicole Gibbons (Clare), Eunice Byun (Material), Polly Rodriguez (Unbound), and Cheryl Kaplan (M Gemi). With this unique kind of access, attendees can tackle specific issues with a specific founder including the nitty-gritty of business development, finance taboos, legal questions, social strategies, and recruiting to benchmarks for how large PR and media budget allocations should be on services. Some of the most empowering and relevant topics include TechStacked -- Women Cracking The Code, Finance 101, and The 2% : The Founders That Broke The Funding Stats and Will Help You Do It, Too. With plans to roll the concept out to more cities in the coming year, Minkoff announced the conference is examining results by "sending a follow up survey to attendees post event, within a 1 month and 3 month window, to see how this conference affected attendees and helped their businesses. It seems like the perfect way to bring the female founders of tomorrow to the same table as the top women in business of today who have already been through the ups/downs/twists/turns of entrepreneurship." Some of the attendees may even be lucky enough to find a mentor and a founder peer support group in the process. There's already a wait list for the few remaining slots. Now that's tangible results.